Scarf: The ultimate Fashion Accessory for all time! We always wear scarves in a traditional way which always remains classy and conservative. Scarves are one of those accessories that we throw into a simple outfit. And we change it completely. Let’s use its full potential and make it versatile: Around your neck or used as a layering piece. 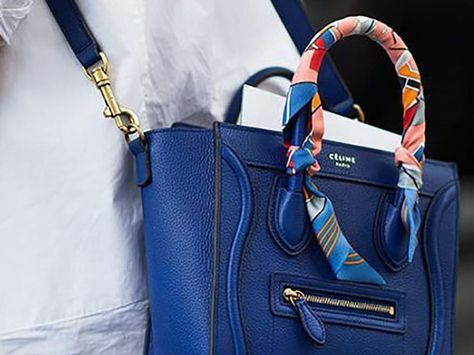 Classic trends die hard, wearing or tying it around your neck remains a sign of elegance. Back in the days, it was most likely paired with dresses and skirts, always worn in a purely classic way. It’s back now but with more edgy twist! 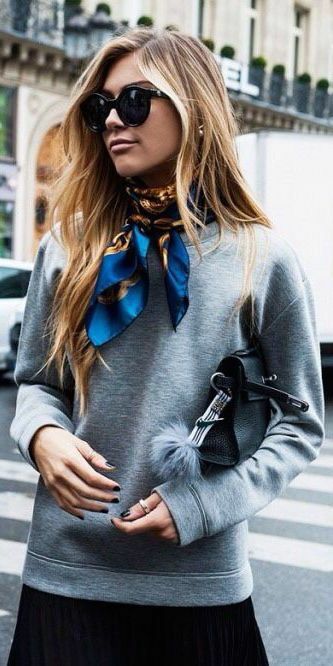 This look represents a combination of neutral colors and textures, gray and black as the main focus and a pop of color with an Hermes inspired scarf tied around the neck. Wear your bandana, or any light weight scarf as a wrist accessory because it is the timeless trendy accessory! 4. What can we do for bad hair days? Using a scarf as head piece in summer days can change you whole look, you can dress it up or dress it down, all depends on the occasion. 5. An embellishment piece to your favorite hand bag, and touch of elegance for your outfit. Recruiters, new digital innovations … are merely tools!